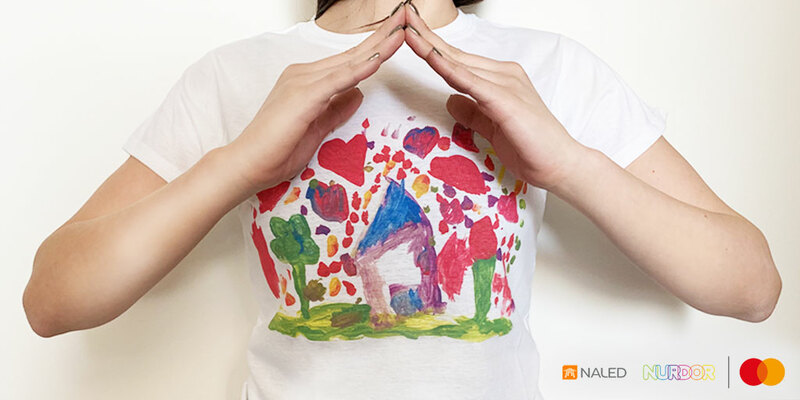 Company Mastercard and the National Association of Parents of Children with Cancer (NURDOR) in cooperation with NALED and Radio-Television of Serbia announced long-term cooperation aimed at supporting SUPERHEROES children who lead the most important battle in life. The first step is the national donor campaign to provide a new parent home in Belgrade, which will satisfy the need for greater capacities to accommodate children on treatment. From March 20, any contactless, mobile or online transaction made with Mastercard cards on the territory of the Republic of Serbia will support the fund that Mastercard donates to a new family home. Mastercard empowers individuals to launch significant initiatives that will benefit their local communities and contribute to the development of the whole society, and the donor campaign for NURDOR is a unique example that tells us that every single action is counted in order to achieve a higher goal. Belgrade is the largest diagnostic and therapeutic center in Serbia, and the largest number of children suffering from cancer comes to treatment in the capital. It is often about families who are materially unable to afford adequate housing and all the costs of living in Belgrade during the course of treatment, which is a minimum of one year. Since the child’s state of health does not allow them to travel from distant places to Belgrade on a daily basis in order for a child to receive therapy, it is necessary to provide adequate accommodation for all of them. “The parent house is not just a place to stay. It is a comprehensive family care project, which involves everyday transportation to therapy and back, always available psycho-social support, volunteer visits and a family atmosphere where parents provide each other with support and support. It is of immense importance for children that this space is adapted to them and their needs, in which the disease has not taken away the right to childhood and in which they can always feel at home. We hope that the new facility will be able to meet the criteria for expanding the capacity for accommodation of up to 20 families. Currently, NURDOR’s parents’ homes in Belgrade provide accommodation for 13 families. However, two of the three houses we use are only temporary solutions. Therefore, this project is very important in the long run and will ensure stability in the continuous support to all families that need it, “said Jolanda Korora, president of NURDOR. For 15 years NURDOR is investing significant funds in improving the conditions for the treatment of children in all hemato-oncology departments in Serbia and doing a great job by providing logistical, stationary, psychological and social support to these small SUPERHEROES and their parents. Therefore, in addition to the donor campaign, the long-term cooperation between Mastercard and NURDOR includes the development of an on-line donor platform as well as the joint promotion of the need for ongoing donations to this organization.